Some people think that heroes wear capes. Working Person’s Store knows that real heroes wear scrubs. Show off your superpowers in this WonderWink Women's 6016 PEW Bravo Pewter Grey Cotton Blend V-Neck Scrub Top. This women's top is very breathable and allows you ... (see full details) (see specifications) #6016-PEW. Some people think that heroes wear capes. Working Person’s Store knows that real heroes wear scrubs. Show off your superpowers in this WonderWink Women's 6016 PEW Bravo Pewter Grey Cotton Blend V-Neck Scrub Top. This women's top is very breathable and allows you to hustle around the workplace with ease of movement to ensure you get around to all the demands your job throws at you. This Pewter grey scrub top is perfect for health professionals or any others workers who are required to wear scrub uniforms while they're on the job. Your day is filled with caring for others and making sure their needs are met, but you can’t forget to take care of yourself. This WonderWink V-neck scrub top is made to take care of you for long days on the job. It's designed with 65% polyester and 35% cotton blended fabric. The polyester fabric offers a smoother look to the women's shirt. It adds durability and helps the WonderWink shirt hold up through many wears. The soft cotton fabric offers a non-irritating texture that will feel nice against your skin for all-day wear. This combination of fabric is easy to clean and care for, too. You can throw this scrub top in the wash and have it ready to wear in a flash. This WonderWink scrub shirt also comes in a “lady fit” V-neck style that gives you just the right amount of room to move and breathe. Plus, the V-neck design is professional and gives you that well put-together look. With 27 ¾ -inches from the shoulder seam to the hem line, you won’t feel the need to constantly pull the shirt down to cover your backside. The work shirt offers a flattering fit that cover your entire upper body. This V-neck comes in a grey (Pewter) color that offers a stylish glow while still looking professional. Plus, this color will match with a variety of scrub bottoms. 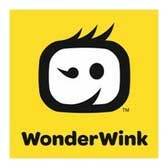 If you're looking for some new ones, check out our WonderWink collection! If you're the type of person who constantly misplaces or forgets things, you'll truly love this WonderWink Bravo scrub top. This women's workwear is built with two lower pockets and one WonderWink signature triple-pocket with a built-in hidden mesh pocket. That makes for five different places to store your items. These pockets allow you to keep your work equipment and personal items close at hand. We also thought you should know that WonderWink has been awarded the URA award for three years in a row now. The URA award is given to companies that produce high quality work attire that goes above and beyond in all areas. When you choose WonderWink work apparel, you know you're getting top quality designs. Throw on this WonderWink Women's 6016 PEW Bravo Pewter Cotton Blend V-Neck Scrub Top from Working Person's Store, and you'll feel like the superhero you are! WonderWink Scrubs: Women's 6016 PEW Bravo Pewter Cotton Blend V-Neck Scrub Top is being added to your cart.